Thank you for welcoming Dr. Andrew Loveitt and me back to Hopital Saint Francois de Sales, as we assisted Dr. Sylvio Augustin and your surgical team in performing laparoscopic surgery. Two patients from HUEH were able to receive the benefits of Minimally Invasive Surgery on Tuesday, March 27 in your beautiful hospital. 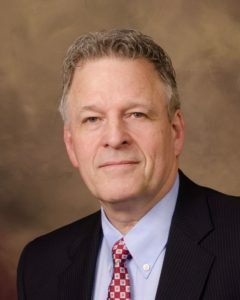 We applaud your vision, compassion and persistence in continuing the push toward laparoscopic surgery for the population. Dr. Mondestin, it was a pleasure to meet you and review the laparoscopy donation from Project Haiti with you yesterday. I am forwarding the summary email after our first laparoscopy was performed at Hopital Saint Francois de Sales last year. Please review the Haiti Manifest so that you can see exactly the laparoscopic equipment that you now possess for your future. This will bring you up to date with the laparoscopy project. I will also forward the email chain after the donation last year for your own edification. I am also taking notes on the existing inventory to identify future needs for disposable items and additional equipment. 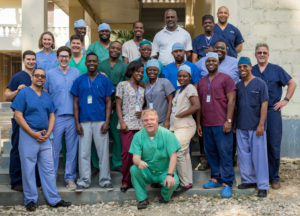 In addition to providing basic laparoscopy equipment in the OR, Mike Evans from Project Haiti (the expert in telecommunications and videoconferencing) has also consulted here and reviewed the plans with IT and bio-technical. After you have completed your initial installation, we would like to connect the laparoscopic Operating Room with the classroom for teaching larger audiences, as we have been doing for many years at the Laparoscopic Training Center in Pignon. Naturally, in order for your HSFS staff to become proficient in laparoscopic surgery, and for you to become a center of excellence, we encourage you to foster a growing relationship with our young talented general surgeon, Dr. Sylvio Jr. Augustin, that we have trained to perform safe laparoscopic surgery. It would be great to see collaborative relationships with other teaching institutions develop over the next few years. Please do not hesitate to email me regarding any requests or consultation.